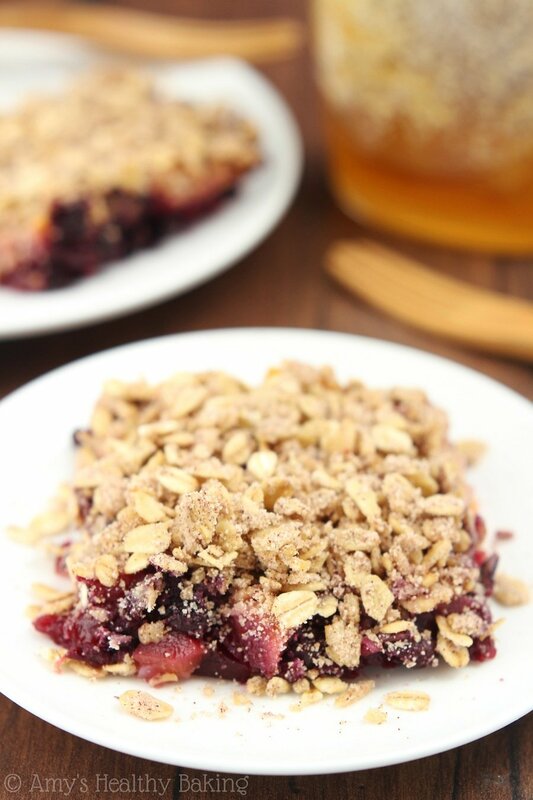 An easy recipe for a healthy, fruity dessert. 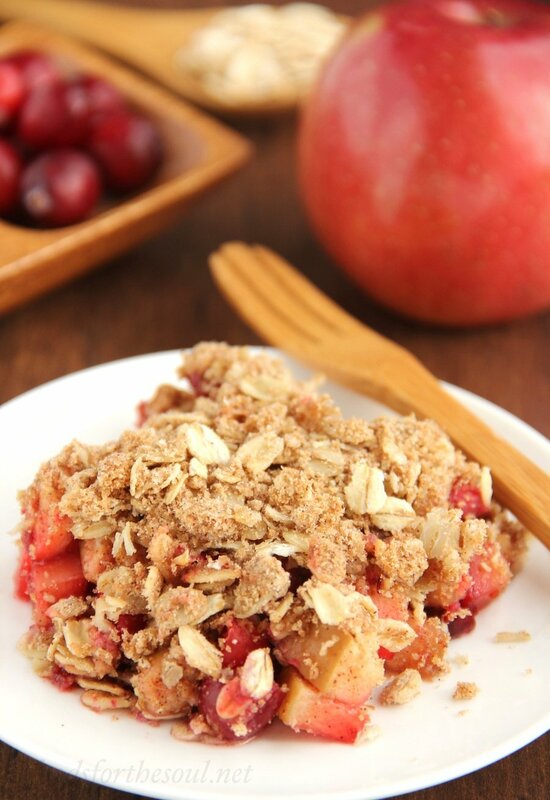 Topped with a thick layer of cinnamon streusel—the best part! When they knocked on the door, I invited them inside, still in my PJs. They unloaded Home Depot’s entire inventory of cardboard boxes, packaging tape, and Rubbermaid containers before scanning my list. As Mom started taping up the bottoms of boxes and Dad opened the first closet, I asked what I could do to help. I know almost every says this, but… I definitely have the BEST parents in the entire world! Six hours and 31 boxes later, half of the house had disappeared into various closets and corners. After lots of hugs good-bye, my parents hopped back into their car to head home as my dog and I waved from the front porch. During the next few days, I worked on packing up food: sacks of flour, bags of sugar, a million canisters of sprinkles… (Baking bloggers’ pantries practically look like episodes of Hoarders.) Once I boxed up most of the nonperishables, I turned to the freezer. Then I spotted the frozen fruit. Multiple bags of mixed berries, whole strawberries, mangoes, and blueberries stared back at me, reminders of all of the recipes I meant to try but hadn’t quite crossed off my baking list just yet. With our moving clock rapidly ticking, I decided to change that and immediately set to work baking a dessert that has been rattling around in my mind for seven months. 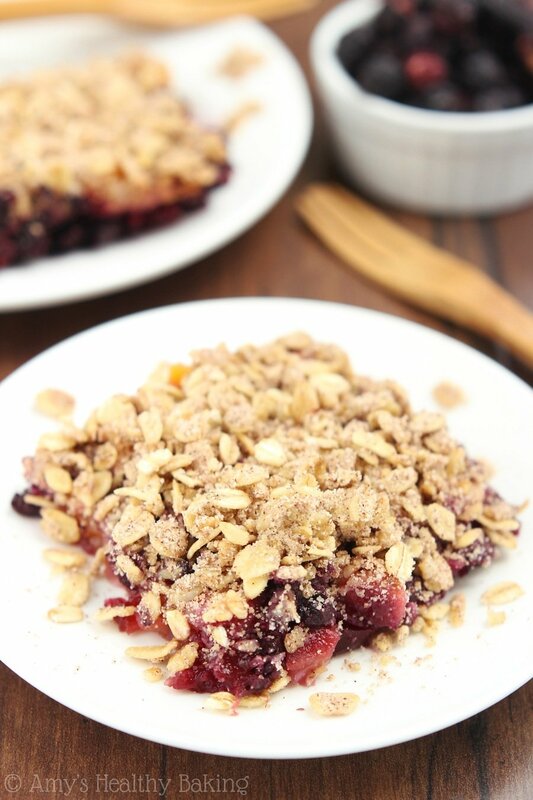 Blueberry Mango Crumble! A summery combination of sweet fruits with a seriously addictive spice oat topping, this easy dessert came together in mere minutes. Created with only wholesome, clean-eating ingredients, nobody needs to know this comfort food treat is actually low fat, low calorie, and vegan too! 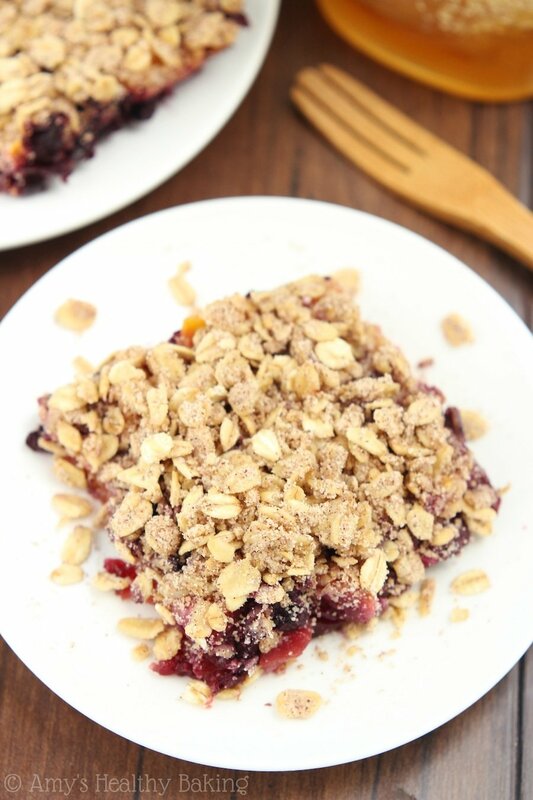 If I was cleaning out my freezer to bake this dessert, then you’ve probably already guessed that it starts with frozen fruit mixed with cornstarch to thicken the juices as the crumble bakes. If your frozen fruit lacks sweetness, add in a touch of your favorite sweetener—or just top your slice with vanilla ice cream! That’s always the best summer dessert in my book. Note: You could probably substitute fresh fruit and use a little less cornstarch, although I haven’t actually tried it. Because this crumb topping calls for melted butter and liquid agave, it’s much moister than typical ones and may stick to your fingers a little more as your sprinkle it over the fruit. (But if you lick them afterward, I won’t judge!) 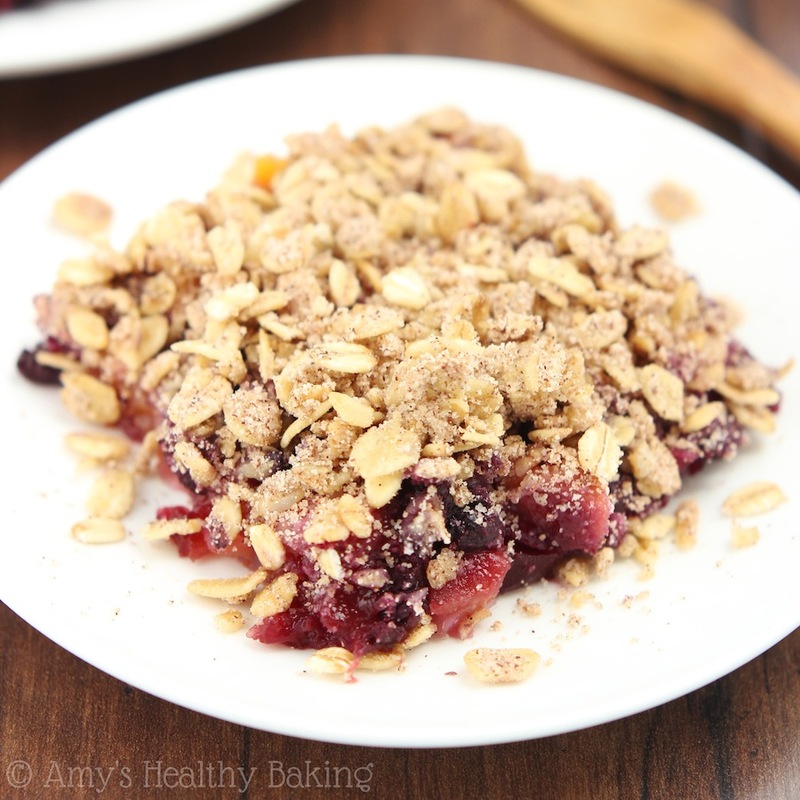 Because I always look forward to the sweet cinnamony oat topping the most, I layered it on this fruit crisp as thick as possible! Note: Remember to use gluten-free oats, if necessary! Trader Joe’s carries them for the cheapest price, from what I’ve found, and I absolutely love them. 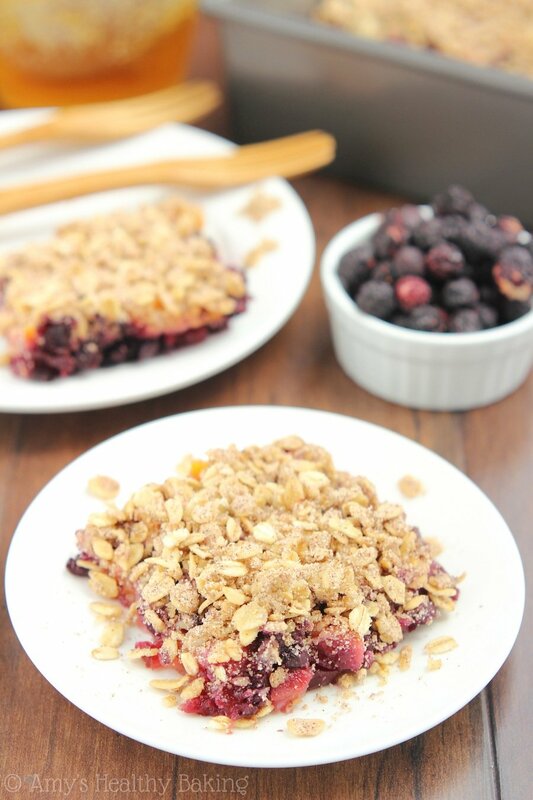 We’ll bake this skinny fruit crisp until the blueberry juices start to bubble around the edges of the pan. My mango chunks weren’t very juicy, so I barely saw any juice poking up at the rim. However, that just means after the crumble cools and thickens, it’ll be a lot easier to serve each slice! 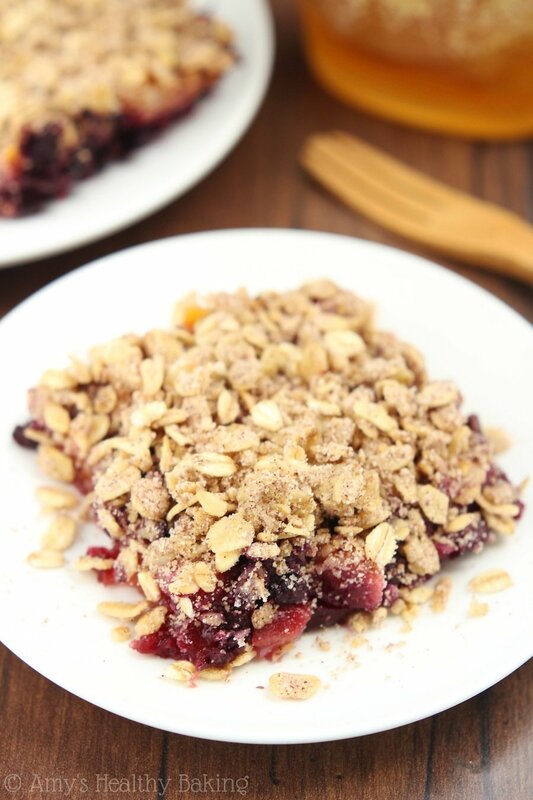 Well, almost too easy… I devoured two whole servings of this Blueberry Mango Crumble as soon as I finished its photo shoot! That cozy spiced crumb topping kept tempting me to sneak bite after bite… But with so much fruit and very little sweetener, it’s basically healthy enough for breakfast! 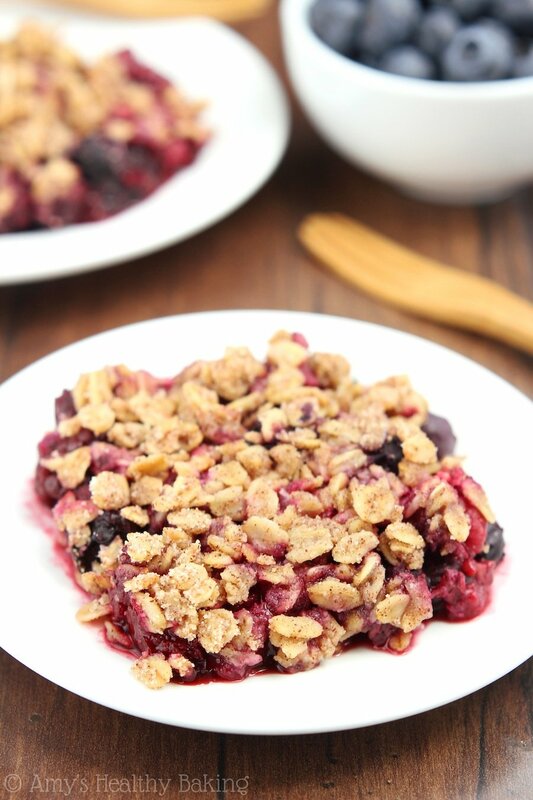 This sweet fruit crisp tastes like the epitome of summer. Topped with a scoop of vanilla ice cream, it’s a downright irresistible dessert! Cover and store any leftovers in the refrigerator for up to 5 days. Preheat the oven to 350°F, and lightly coat an 8”-square baking pan with nonstick cooking spray. In a small bowl, mix together the oats, flour, and cinnamon. Add in the agave and butter, mixing until completely incorporated. In a medium bowl, toss together the frozen mango, frozen blueberries, and cornstarch until thoroughly combined. 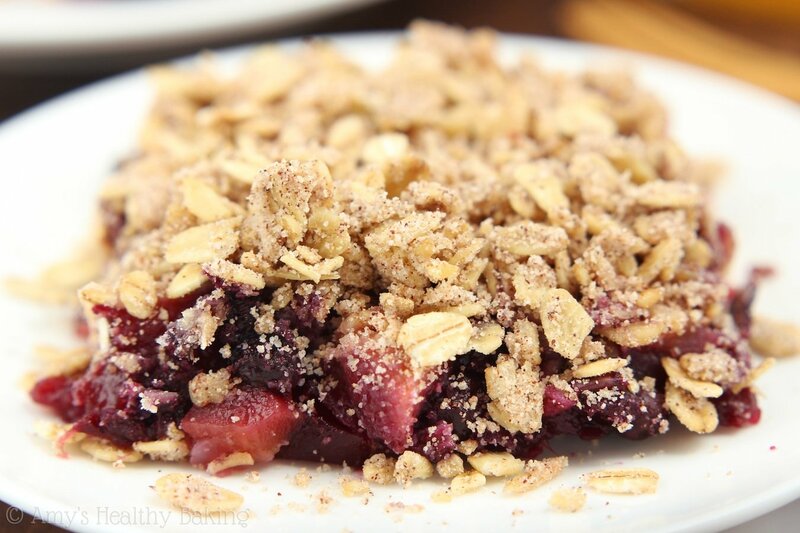 Spread the fruit mixture into the prepared pan, and evenly sprinkle the oat crumbs on top. 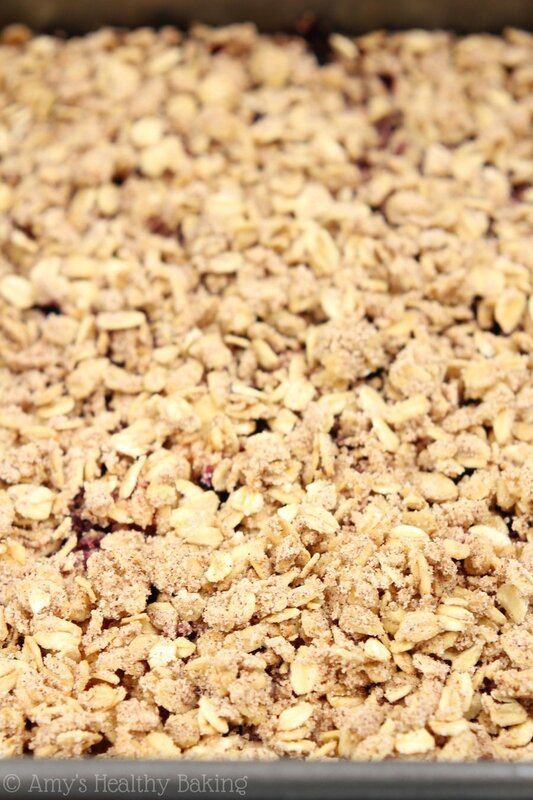 Bake at 350°F for 40-50 minutes, or until the fruit juice is bubbling around the sides and the oat mixture turns crunchy. Cool completely to room temperature. 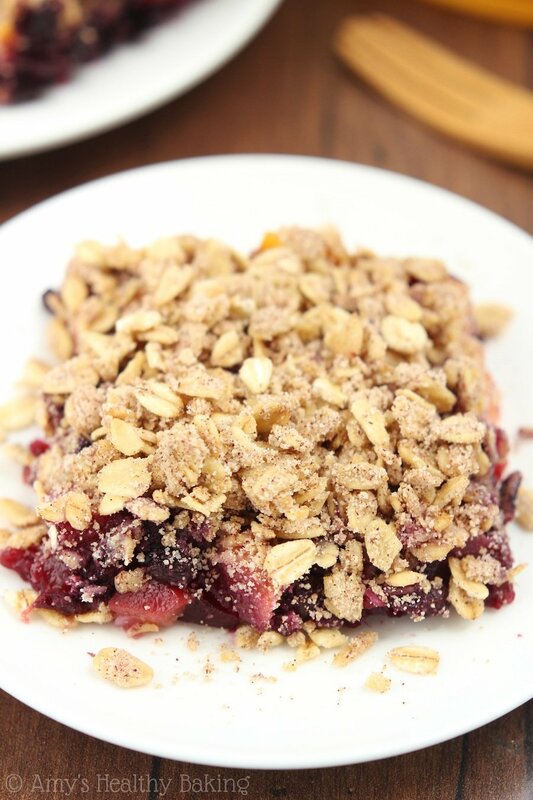 For best results, let the crumble chill for at least 2 hours after coming to room temperature before serving to help the juices to thicken. Notes: Honey and maple syrup may be substituted for the agave. If your frozen fruit isn’t very ripe, you may mix in a little sweetener to the filling along with the cornstarch as well. Thank you so much Marina! 🙂 I hope you enjoy the crumble! Oh wow I think you do have the best parents ever!!! Better treat them to a fabulous treat like this! Thanks Julie!! I’m definitely treating them after last weekend and today. They helped us move all of our heavy furniture too! Parents are the best!! Oh my gosh moving. Worst thing ever – especially the food! I hope it’s over for you soon! Best parents ever!!! Mine would do the same. We are so lucky Amy. Good luck finding a place–let me know if you need ANYTHING!! PS blueberry + mango?? Yes please. Karen, you’re just the sweetest — thank you SO much!! 🙂 P.S. When you get back and I find a place, we really need to start up the food blogger exchange thing again! Mangoes must go great in this! My peach tree is finally bearing fruit, so I’ll probably be making a peach-y version of this soon! You have a peach tree? I’m kind of jealous… They’re my favorite summer fruit! 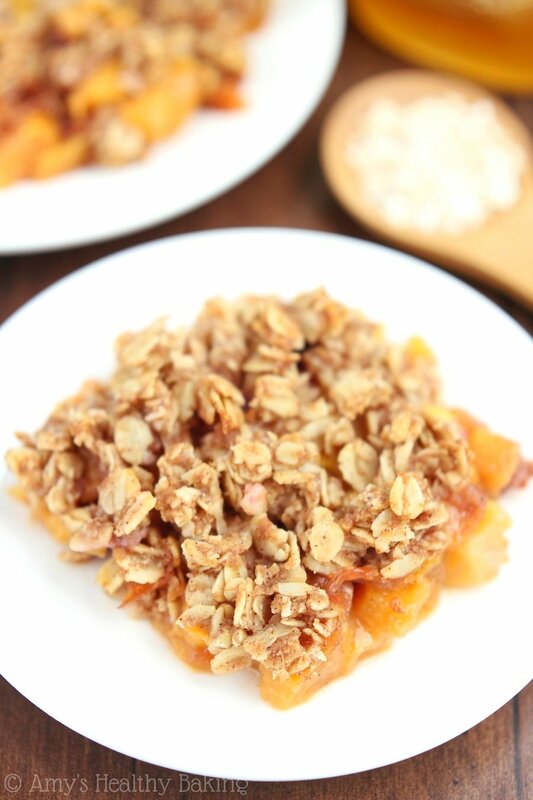 🙂 I really hope you enjoy this crumble, and I have a purely peach version as well (here) if you’re interested in that too! I am all about dessert for breakfast too! This looks delish! !